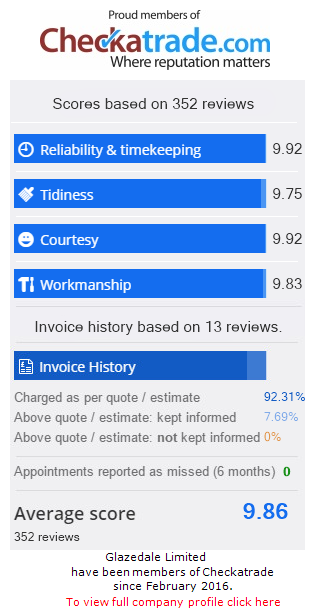 This property in Wilford, Nottingham had an old and tired-looking conservatory and was therefore very much in need of refreshing. 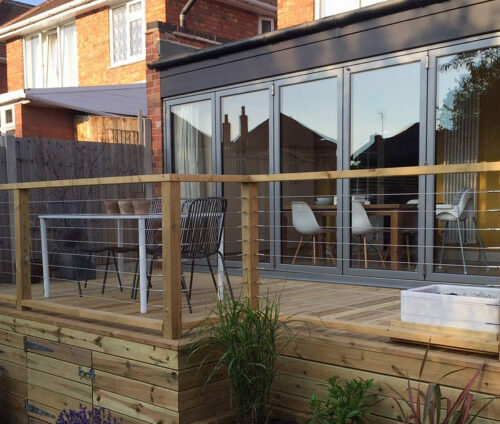 We replaced this old conservatory with a modern extension using Origin aluminium bi-folding doors as a contemporary feature to open up the house to the outside. You can see how these doors create a more spacious feel to the property, giving easy access to a relaxed decked area and views of the garden. 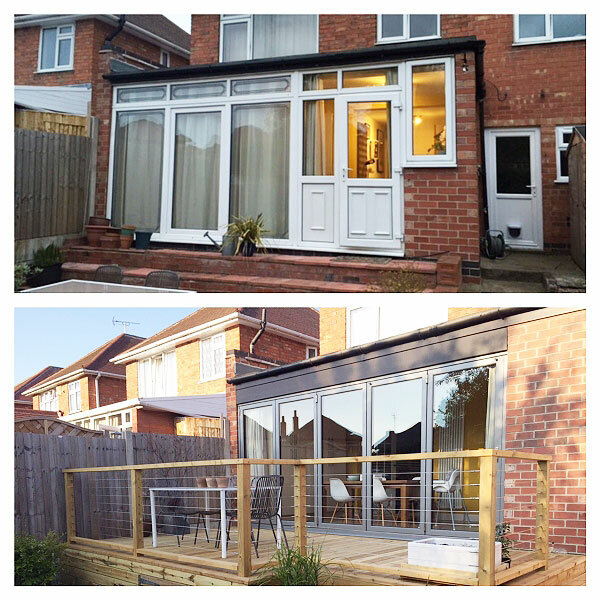 Compare this with the “before” photo to see what a difference bi-folding doors could make to your property.